LONDON, 2018-May-09 — /Travel PR News/ — From today, British Airways is offering customers even more ways to spend their Avios, by giving them the opportunity to use Avios to select their seats. Until today, customers who did not have access to free seat selection could choose to pay to select their seats. * Now, customers will also have the option to choose to use Avios, the currency of the British Airways Executive Club, to reduce the cost of seat selection, or to cover the cost in full. British Airways already offers free seat selection for Gold and Silver members of the British Airways Executive Club from the time they book, and also offers free seat selection for Bronze members seven days before their flight departs. 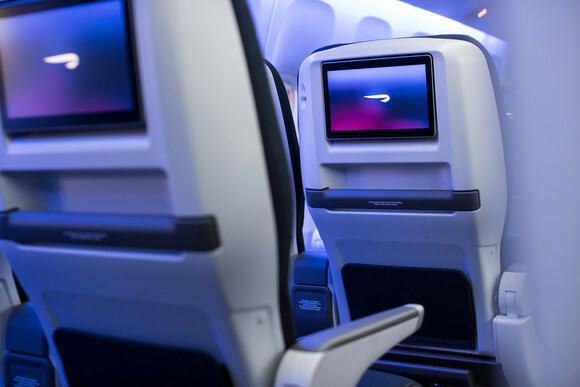 The move, therefore, will be of the biggest benefit to Blue members who can now choose to use their Avios, instead of cash, to select their seat. The move offers members of the British Airways Executive Club another way to spend their Avios. Members can already spend their Avios on reward flights, upgrades, or to cut the price of a ticket through Avios part payment. On top of this, Avios can be spent on 60,000 partner hotels and on 50,000 sight-seeing experiences and excursions around the world. James Hillier from the British Airways Executive Club said: “We already offer the ability to collect and spend Avios on a wide range of flights, holidays, trips and experiences but today’s exciting development gives members of the British Airways Executive Club another way they can choose to spend their Avios. Through the British Airways Executive Club, members can collect Avios and Tier Points on flights, as well as on everyday spending with household-name partners across retail, travel and credit cards. They can also collect with hundreds of popular retailers on the British Airways Avios eStore. The opportunity to fully cover the cost of selecting seats, or cover part of the cost, using Avios, is available on all British Airways operated flights and can be actioned through Manage My Booking on ba.com or through the contact centre. ** Customers who do not wish to spend Avios but do want to select their seats, will still be able to pay the cash amount. These changes are just one of a number of ways that the airline is improving experiences and offering more choice for its customers. Earlier this year it was announced World Traveller customers will receive a renewed food offering on board including, on longer flights, a full second meal, while in Club World new dining and White Company bedding is being rolled out across the network. These changes come as part of the airline’s £4.5 billion investment for customers over the next five years. This entry was posted in Airlines, Flights, Travel, Travel Services, Travelers and tagged Avios, British Airways, James Hillier. Bookmark the permalink.